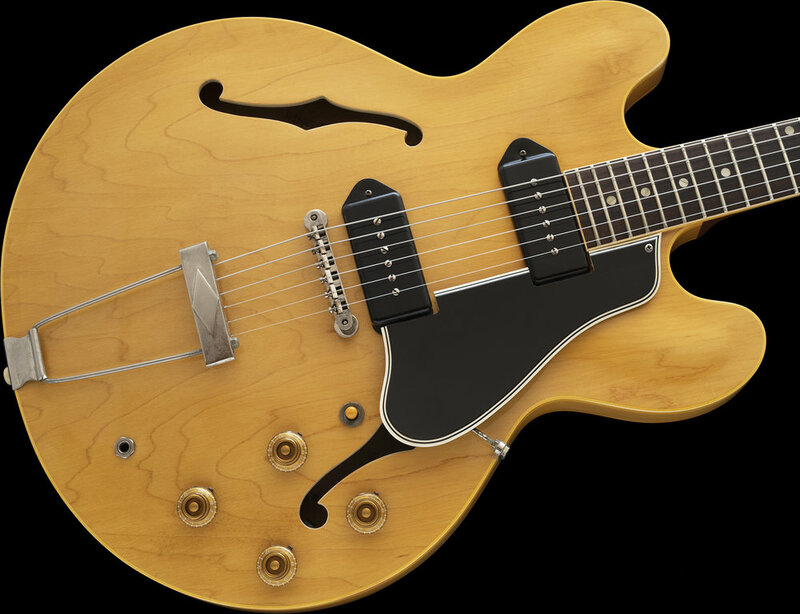 Gibson introduced their Thin line Hollow body ES-330 Model in 1959. This is a 1st year example. 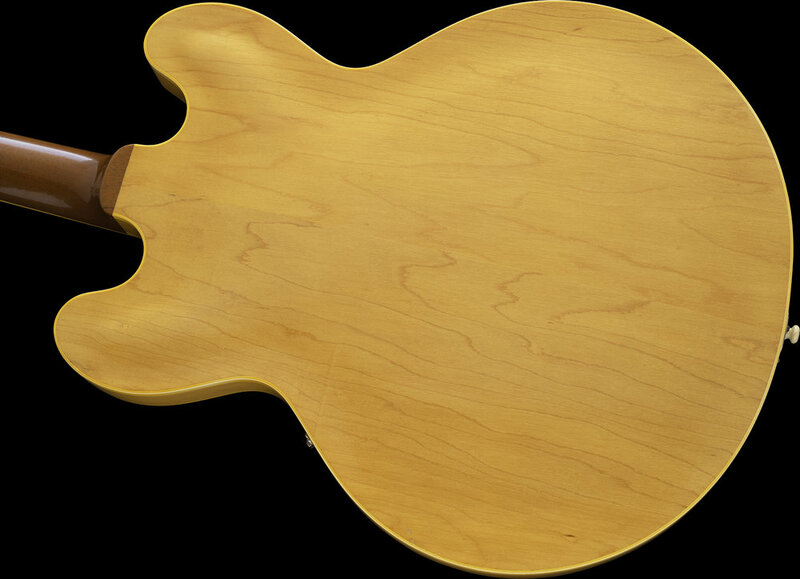 According to the shipping totals, they shipped 79 units in Natural with 2 P-90 pickups in 1959. I have owned several Natural examples but most had a thinner neck and were made in 1960. This particular guitar has a round 1959 profile and as the photographs show, it is quite a handsome. Complete with a Brown hard shell case.